Individuals at risk of rheumatoid arthritis (RA) have increased levels of gum disease and disease-causing bacteria, according to a study presented at the Annual European Congress of Rheumatology (EULAR 2018). “It has been shown that RA-associated antibodies, such as anti-citrullinated protein antibodies, are present well before any evidence of joint disease. This suggests they original from a site outside of the joints,” said lead author Kulveer Mankia, MD, of the Leeds Institute of Rheumatic and Muscoskeletal Medicine and the Leeds Biomedical Research Centre. “Our study is the first to describe clinical periodontal disease and the relative abundance of periodontal bacterial in these at-risk individuals. Our results support the hypothesis that local inflammation at mucosal surfaces, such as the gums in this case, may provide the primary trigger for the systemic autoimmunity seen in RA,” Mankia said. RA is a chronic inflammatory disease that affects the joints, causing pain and disability. It also can affect internal organs. While it is more common in older people, there also is a high prevalence in young adults, adolescents, and even children, and it affects women more frequently than men. The prevalence of gum disease is increased in patients with RA and could be a key initiator of RA-related autoimmunity. 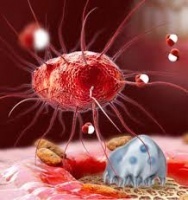 This is because autoimmunity in RA is characterized by an antibody response to citrullinated proteins, and the oral bacterium Porphyromonas gingivalis (Pg) is the only human pathogen known to express an enzyme that can generate citrullinated proteins. In the study, dentists diagnosed clinical gum disease in significantly more at-risk individuals than in healthy controls (73% versus 38%). Also, the percentage of sites with clinical attachment level of ≥2 mm, pocket depth of ≥4 mm, bleeding on probing, periodontal disease (PDD), and active periodontal disease were all significantly greater in the at-risk individuals compared to controls. In non-smokers, PDD and active PDD were more prevalent in at-risk individuals compared to controls. 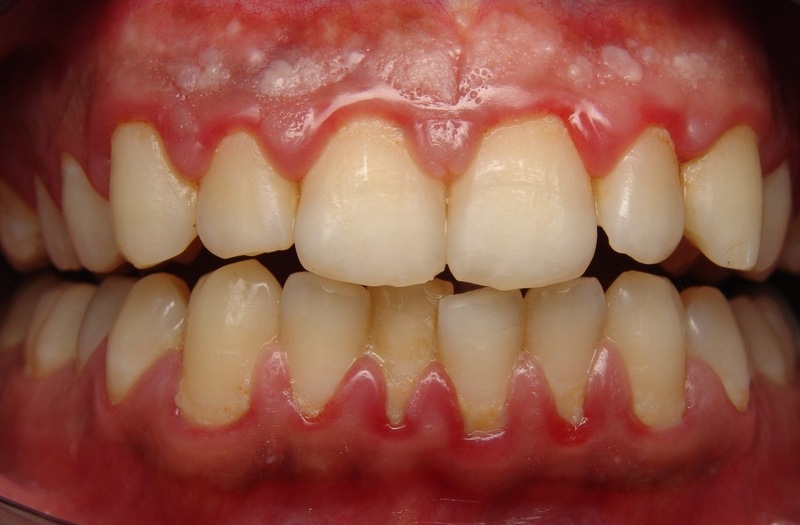 DNA was isolated from the subgingival plaque, next to the gums, of each participant and used to measure the levels of three types of bacteria, Pg, Aggregatibacter actinomycetemcomitans (Aa), and Filifactor Alocis. Results showed that there was increased abundance of both Pg and Aa in at-risk individuals. But in at-risk individuals, only Pg was significantly increased at healthy dental sites and was associated with the overall extent of gum disease. The study included 48 at-risk individuals (positive test for anti-citrullinated protein antibodies, musculoskeletal symptoms but no clinical synovitis), 26 patients with RA, and 32 healthy controls. The three groups were balanced for age, gender, and smoking. At-risk individuals underwent ultrasound assessment to assess for subclinical synovitis. Only two were found to have ultrasound synovitis. Dentists examined six sites per tooth in each participant, and a clinical consensus was reached in each by three dentists.